The new Minnesota Sports Facilities Authority has selected Ted Mondale as its executive director. The authority met for the first time Friday to take initial steps toward building a $975 million Vikings stadium. Chair Michele Kelm-Helgen called Mondale the "logical choice" for the job. Kelm-Helgen also said she wanted to avoid a lengthy public search to fill the position. "There's already kind of a backlog of things that have to get done," she said. "My biggest concern, and I think our biggest responsibility that everybody seems to be telling me, is to get this project moving, to get it out on time, on budget." Mondale is optimistic that will happen. "We've got a good head start," he said. "We've got a realistic time frame ... We've got a great board that's been appointed, a great chair — a mediocre executive director — but we've got a lot of momentum behind us." 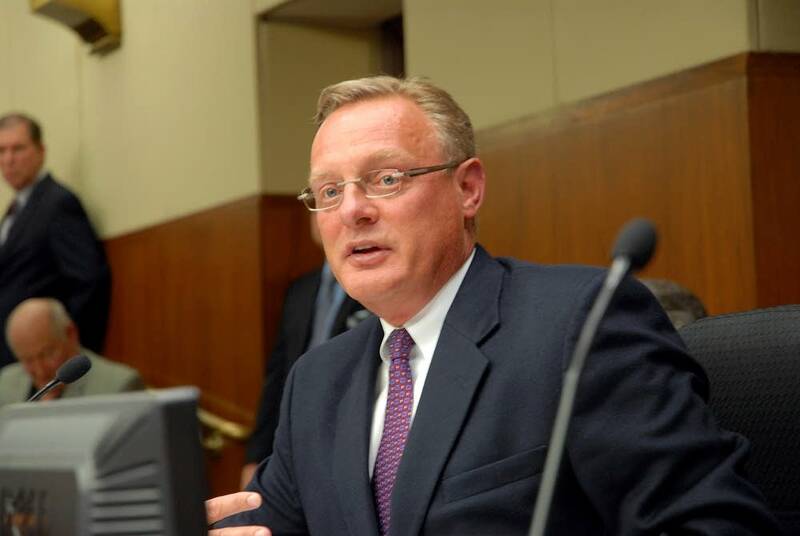 Mondale, the chair of the Metropolitan Sports Facilities Commission and son of former Vice President Walter Mondale, will be paid $157,181 a year. Kelm-Helgen will make $100,000 a year as chair. He served as Dayton's top aide while the stadium worked its way through the Legislature and is a former state senator. Since last year he's been heading the Metropolitan Sports Facilities Commission, which operates the Metrodome. The commission is being disbanded as the new stadium authority gets off the ground. The authority will oversee design and construction of a facility involving nearly $500 million in state and city money.